Car Accident Lawyer Denver CO - The Law Office Of Richard J. Banta, P.C. Any car accident lawyer Denver CO residents choose to represent them after a car accident may first try to determine in a consultation with their client whether there is damage, and then who is at fault for that damage. Colorado became a “fault” based system in 2003, which means that liability for any damages caused by the at-fault driver is the sole responsibility of that driver, and their insurance policy may be used to pay for those damages. Damages refer to personal injury-related costs and property damage costs as a result of the accident. So now that we know the at fault driver in Colorado is responsible for damages, how is fault determined? It should be noted that insurance companies have the final say in determining who is at fault—they do not have to come to the same conclusion as the police, although it is rare that they do not. Every situation is unique, and the more unique, the more a Denver car accident lawyer can help you, but if one driver violated a traffic law, e.g. speeding, running a red light, they are typically held responsible for a resulting car accident. Typical accidents that make it clear who is at fault are rear end collisions and left hand turns. The follower in a rear end collision is almost always at fault, though if it can be proved that the leading driver slammed on their breaks for no reason, that may be an exception to the rule. Drivers making left-hand turns are almost always at fault but an exception might be when the other driver runs a red light through the intersection and the turning driver has a green arrow. 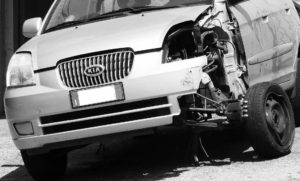 In the absence of a clear case, a car accident lawyer Denver CO residents trust may want to prove that the other party is guilty of negligence. Negligence occurs when a driver doesn’t comply with certain duties required of them, and that breach causes an accident. While running a red light would be an obvious example of negligence, more subtle examples are broken headlights at night, not wearing glasses when they are necessary to see well enough to drive safely, failure to use a turn signal, etc.… This is when a car accident lawyer in Denver CO trusts as their advocate may seek out evidence to make your case. Some examples of admissible evidence a car accident lawyer Denver CO residents turn to can look for are photos, statements from witnesses and from drivers—it’s surprising how often drivers admit their guilt at the scene—police reports, video footage, car damage, skid marks, and in the absence of most of these other types of evidence, drivers’ records might be considered. In Colorado, when both drivers are at fault, the injured person who is deemed more than 50 percent responsible for the accident won’t be entitled to compensation. The driver who is less than 50 percent fault is entitled however. It is all or nothing where liability is concerned. In Colorado, an injured person can pursue compensation for damages by filing a claim through his or her own insurance company, who would then work with the at-fault driver’s insurance, by pursuing a claim directly with the at-fault driver’s insurance company, or by enlisting the services of Richard J. Banta, P.C., a car accident lawyer Denver CO resident have relied on for countless personal injury lawsuits in civil court. If you were in a car accident, especially in the case where a significant injury has occurred, call the car accident lawyer Denver CO trusts at 303-331-3415 for a free consultation. While some cases are difficult to determine fault, others are far easier to assign liability — including distracted driving cases. When you or a loved one has been injured by a distracted driver, you may have the right to seek monetary compensation. Call a car accident lawyer in Denver, CO, now to learn more. Every year millions of people are involved in a car accident. A large number of them are the result of driver error; in particular, driver distraction. With the advent of smartphone technology and digital car devices, distracted driving is more of an issues than ever before. Many states have gone through great measures to pass laws that ban drivers from texting or talking on the phone, but it still happens. Furthermore, the punishment is relatively modest and has done little in actually detering drivers from using their phone behind the wheel. Every day, approximately 9 people in the US are killed and more than 1,000 people are injured in an accident involving a distracted driver. In 2015, 3,477 were killed in an accident involving a distracted driver. In 2015, 391,000 people suffered an injury from being in an accident resulting from distracted driving. Drivers under the age of 20 are at most risk for being involved in a fatal distracted driving accident. Have you been involved in a distracted driving accident? If so, time is of the essence. Call a Denver car accident lawyer now for a free case review. The use of electronic devices – Thousands of car accidents are the result of using a smartphone, radio, GPS, or other electronic device while driving. Texting while driving – Despite many state laws that ban texting and driving, it still occurs and is the cause of many fatal car accidents. Eating while driving – Fast food restaurants, especially those with drive thrus, have helped to cultivate an eating while driving culture in the US. This encourages the driver to use one hand or look away from the road while driving; both of which can be deadly. Talking with passengers – A passenger can contribute to distracted driving. This is especially true with younger adults, teens , or children. Grooming – Many people will groom themselves while driving to work. Applying makeup, brushing hair, changing clothes, and drinking coffee are all actions that could put lives at risk. Outside distractions – Looking at roadway advertisements, other accidents, or people can easily distract a driver and cause them to crash. Using social media – As one of the leading causes of distracted driving, using any social media platform while driving is strongly discouraged by most states. If an accident results from this action, the user could face penalties. A car accident lawyer in Denver, CO might investigate dash cam footage, vehicle recordings, phone records, phone data, security footage, witness statements, and so forth. Once prove is found, compensation for medical bills, lost wages, pain, and suffering may be sought. What Are My Legal Options After Being Hit by a Drunk Driver? An experienced car accident lawyer serving Denver, CO knows that, unfortunately, almost one-third of all car accidents in the United States are related to alcohol. With such a dangerous epidemic only growing, it is important to know what legal options you have if you have been in a car accident with a drunk driver. The main difference between a car accident and a drunk driving car accident is that drunk driving is illegal. If you have been hurt in a car accident in Colorado due to a drunk driver, you could have the right to receive compensation from the drunk driver. However, it is important to note that your claim would take place during a civil case instead of as a criminal case, ideally with the help of an experienced car accident lawyer in Denver, CO. It does not matter if the district attorney has decided to file a criminal charge against the drunk driver, you will not receive any compensation in the criminal case for your injuries. Special Damages: These are meant to reimburse you for any costs you had to pay out-of-pocket. These can include lost incomes, medical expenses, and other financial losses. General Damages: These damages compensate you for any mental or physical pain and suffering and more subjective types of effects and injuries that the accident caused for you. Punitive Damages: The purpose of these damages is to punish the drunk driver for behaving recklessly and to try to prevent this behavior from happening in the future. One of the first things that will take place after your car accident is the drunk driver’s insurance company will be contacting you to offer a low amount of compensation to quickly resolve any potential claims you could be bringing for the driver. The drunk driver’s insurance company wants to pay you the smallest settlement as possible as fast as possible. They do this in order to avoid having to take responsibility for any medical expenses you may have in the future. It is critical to know that their insurance company does not care about your best interests. Do not agree to a settlement just because it’s the easiest and fastest thing to do. Talk to a car accident lawyer for Denver, CO who will fight for your best interests. How is pain and suffering calculated by a personal injury lawyer? When you file a personal injury claim or lawsuit, one of the first things you might want to know about is the damages that may be recovered. These typically include medical bills, lost wages, and pain and suffering. The former might seem relatively easy to understand; however, when it comes to pain and suffering damages, they are one of the most misunderstood aspects of personal injury law. Most people don’t know exactly what it means or how it is calculated. As a personal injury lawyer, we will try to explain the basics of pain and suffering, how these damages are calculated, and when it may be included in a claim. If you were injured in an accident, you will likely be able to recover damages for all of the above, but they won’t be included in the pain and suffering category. Damages for pain and suffering is in relation to a personal lost opportunity, loss of enjoyment, loss of comfort, loss of happiness, loss of the ability to participate in activities, and so forth, as a result of the accident. For example, if a person was injured in a bike accident and left paralyzed, they may no longer be able to ride a bicycle, run, and enjoy their previous hobbies. Their accident may also change the way they interact with loved ones. These considerations will likely have a role in the amount of monetary compensation for pain and suffering. Even though all related medical expenses are not included in pain and suffering damages, a personal injury lawyer may refer to them when calculating the later. In general, an insurance company uses a multiplier of 1-5 and will multiply that number by the amount of medical expenses. For example, if your medical expenses were $20,000, the damages for pain and suffering could total between $40,000 and $100,000. This amount would them likely be awarded in addition to your economic damages (i.e. medical expenses, property damage, lost wages, etc.). It should be noted that all cases are different. The above is only a generalized framework and could vary. If you have suffered losses after an accident caused by another person, compensation may be available. The sooner you talk with a personal injury lawyer, the more likely you will be able to recover damages. For a free case review, please call the Law Office of Richard J. Banta, P.C. Unfortunately, it is not uncommon for a driver who caused a drunk driving accident to not have enough car insurance coverage or does not have any insurance at all. If they do not have enough or any insurance, you may be able to file a claim against your personal insurance company. This is because many insurance companies have coverage that gives you compensation if the other driver does not have insurance. There are many options that could apply to you if you have been hurt by a car accident caused by a drunk driver. It is important to speak with an experienced car accident lawyer serving Denver, CO to have someone on your side fighting for your best interest, so reach out to The Law Office of Richard J Banta, P.C. and get the help you need. Rather than dealing with complex, often confusing, insurance company negotiations on your own, you should consult a car accident lawyer Denver, CO trusts. 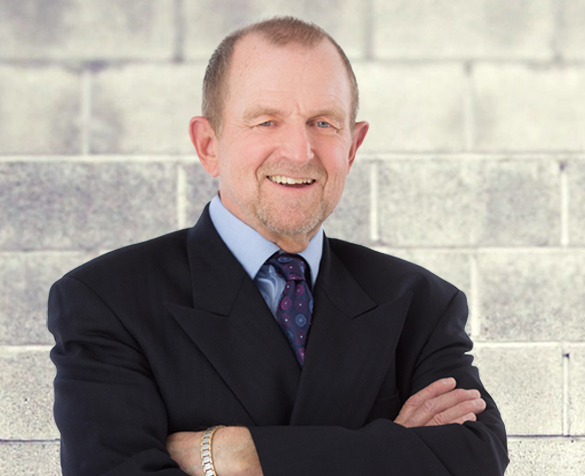 For a consultation with the Law Offices of Richard J. Banta, P.C., call today!